Chardonnay is a white-wine grape originating in the Burgundy region of France, but now grown practically everywhere in the world where wine grapes can be grown at all. It is more widely planted than any other white-wine grape except the low-grade Airén of Spain. It is probably the foremost white in popularity, having soared to a dominant role in the 1980s to become, for novice wine drinkers, virtually a synonym for "white wine". It is generally considered one of the dozen and a half or so of world-class white-wine grapes (those in boldface in the varietals list to the left of the page). While Chardonnay certainly can and often does produce some of the world's finest, its stupendous popularity inevitably brought a tidal wave of inexpensive plonk, which severly dampened the grape's reputation. That, and its eclipsing of many excellent but less-well-known regional wines—as planters adapted to the world market by tearing out such less-known grapes and replanting in chardonny—produced in the mid-1990s, a distinct backlash against the grape, sometimes called the "ABC Movement" (Anything But Chardonnay). Chardonnay today retains a very strong position, but no longer so completely dominates white wine. In either of those two styles, Chardonnay is well capable of producing magnificent and distinctive wine. But the two are so different that one must almost think of them as two separate wines. Chardonnay grapes are actually surprisingly neutral in flavor, and acquire most of their characteristics from the vinification process; they are said to also be especially good at transmitting terroir, a distinctive taste derived from the soil and climate in which they grew. As you will see from some of the descriptions below, though there are general styles, in truth Chardonnay wines can be pretty much anything the vintner wants to make them as. Factoid: half a century ago, when Chardonny was rising in renown, it was commonly known in the U.S. as "Pinot chardonnay". "In addition to being the most expensive, the Burgundy examples of Chardonnay were long considered the benchmark standard of expressing terroir through Chardonnay. The Montrachets are noted for their high alcohol levels, often above 13%, as well as deep concentration of flavors. The vineyards around Chassagne-Montrachet tend to have a characteristic hazelnut aroma to them while those of Puligny-Montrachet have more steely flavors. Both grand cru and premier cru examples from Corton-Charlemagne have been known to demonstrate marzipan while Meursault wines tend to be the most round and buttery examples. . . The full-bodied wines of the Pouilly-Fuissé have long held cult wine status with prices that can rival the Grand cru white burgundies. 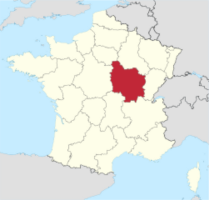 . . With the exception of Pouilly-Fuissé, the wines of the Mâconnais are the closest Burgundy example to "New World" Chardonnay though it is not identical. . . Hazelnut, licorice and spice are some of the flavors that can develop as these wines age. . . Chablis winemakers want to emphasis the terroir of the calcareous soil and cooler climate that help maintain high acidity. The wines rarely will go through malolactic fermentation or be exposed to oak (though its use is increasing). The biting, green apple-like acidity is a trademark of Chablis and can be noticeable in the bouquet. The acidity can mellow with age and Chablis are some of the longest living examples of Chardonnay. Some examples of Chablis can have an earthy "wet stone" flavor that can get mustier as it ages before mellowing into delicate honeyed notes. The use of oak is controversial in the Chablis community with some winemakers dismissing it as counter to the "Chablis style" or terroir while other embrace its use though not to the length that would characterized a "New World" Chardonnay. The winemakers that do use oak tend to favor more neutral oak that doesn't impart the vanilla characteristic associated with American oak. The amount of "char" in the barrel is often very light which limits the amount of "toastiness" that is perceived in the wine. The advocates of oak in Chablis point to the positive benefits of allowing limited oxygenation with the wine through the permeable oak barrels. This can have the effect of softening the wine and make the generally austere and acidic Chablis more approachable at a younger age." "Burgundies are powerful and rich, with complex fruit flavors and notes of earth and minerals. More affordable Chardonnays from Burgundy—for instance, those simply labeled Bourgogne Blanc—are crisp and lively, with apple and lemon flavors. Chardonnays from America, Australia and Chile tend to be ripe and full-bodied, even buttery, with higher alcohol levels and vanilla notes from oak aging." "The truly thrilling thing about Chardonnay grown on the Cote d'Or is that here, as nowhere else, it can express a sense of place, even if winemaking - which for top-quality Chardonnay produced anywhere almost invariably includes fermentation and maturation in different sorts of oak barrels; a second, softening malolactic fermentation; and different levels of stirring, or 'batonnage', of the lees at the bottom of the barrel - inevitably superimposes itself too. Oak can be tasted in the form of a certain toastiness, char - or even vanilla flavours in the case of American rather than the more normal French oak favoured by Burgundian wine producers. . . 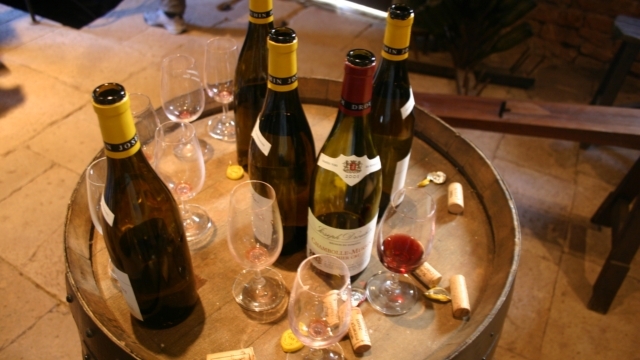 The distinctions between the wines of the famous white wine villages can therefore easily be blurred by the different winemaking regimes of different producers, but stereotypically Meursault is buttery, Puligny-Montrachet is steely and creamy, while next door Chassagne-Montrachet can be slightly nuttier and more textured. . . The one wine region where Chardonnay is not routinely oaked by its most ambitious practitioners is Chablis in the far north of Burgundy, almost as far north as Champagne. And Chablis is a widely misunderstood wine as a result of all this. Because of its latitude, Chablis does not easily ripen the Chardonnay on which it exclusively depends. The wines are much higher in acidity and lighter in body than those made on the Côte d'Or to the south. Oak and malolactic fermentation are exceptional and - partly as a result - Chablis can age superbly. It invariably tastes 'green' somehow when it's young, very sappy and refreshing. It then typically goes through a rather awkward adolescent stage where it can take on some odd wet wool odours and then, in glorious maturity at about 10 to 15 years old, it is an extraordinarily appetising drink reminiscent of wet stones and oatmeal." 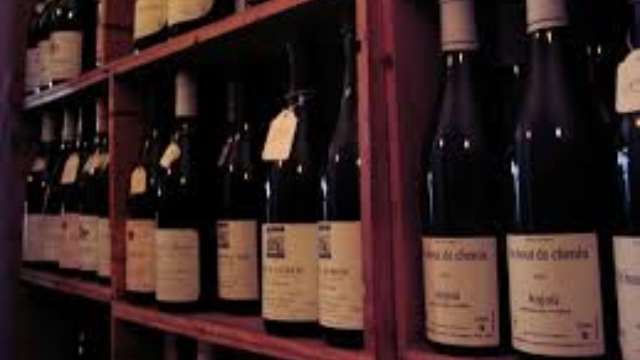 "On the Côte de Beaune, from Corton-Charlemagne to Chassagne-Montrachet, including Meursault and Puligny-Montrachet, each village and vineyard brings a different character. Corton-Charlemagne has weight, solemnity. Meursault has opulence, richness. Chassagne-Montrachet is calm, mine ral, often honeyed. Puligny-Montrachet is, simply, the best, producing wines from its grand cru vineyards that age for 20, 30, 40 years—often with prices to match. . . Chablis is certainly the purest expression of the grape. The cool climate allows acidity to bring a crispness and steely character to even the ripest Grand Cru wine." "The majority of chardonnays on the market are fermented in oak with the un-oaked chardonnay being the exception. Because of this, when people think 'CHARDONNAY' they think spicy, smokey, vanilla, and butterscotch. This isn't the grape they are tasting though, it is the oak in which chardonnay is typically fermented. An unoaked chardonnay has little in common with the often overly oaked Chardonnay. A quality crafted un-oaked chardonnay will boast deliciously fruity flavors ranging from apple and melon in the colder growing regions to luscious tropical fruit flavors such as pineapple in the warmer climates." "Typical taste of the different types of chardonnay: voluptuous. Chardonnay wines are often wider-bodied (and more velvety) than other types of dry whites, with rich citrus (lemon, grapefruit) flavors. Fermenting in new oak barrels adds a buttery tone (vanilla, toast, coconut, toffee). Tasting a $20 Californian Chardonnay should give citrus fruit flavors, hints of melon, vanilla, some toasty character and some creaminess. Burgundy whites can taste very different." "Chablis is 100 percent chardonnay, grown on clay and limestone that is riddled with chunks of blazing white chalk, which are fossilized marine shells and a signpost of a famed vineyard soil known as the Kimmeridgian. Many feel that the "chalky note" in both the aroma and taste of Chablis derives from this soil. In any case, it is unique to Chablis. Unique especially in the sense that other chardonnay-based wines made elsewhere in Burgundy differ from Chablis as yes does from no — in other words, they are substantially different, and furthermore they differ from one another. Chablis is not Puligny-Montrachet, which is not Chassagne-Montrachet, nor Macon, nor Rully and so on. All 100 percent chardonnay, all related by grape alone, each a singular personality. Thus the claim, in Burgundy, that terroir trumps technique. You always know where a well-made Burgundian chardonnay comes from because the terroir will tell you." "Chardonnay always has been a chameleon grape – changing character readily by climate, ripeness and fermenting technique. In California's cool, foggy Russian River Valley it turns crisp and intensely fruity; in warmer climes it can be creamy and lush, spicy and caramel scented. Aging in oak barrels can give it vanilla flavors; a secondary "malolactic" fermentation can soften its acids and create complex and creamy texture and buttery flavors. Aging in stainless steel tanks, without oak exposure, on the other hand, can create crisp, purely fruity wines." "Chardonnay is an interesting grape because on its own, it's not that interesting. Chardonnay is a chameleon of a grape, meaning that the way it tastes truly reflects where it is grown and choices made by the winemaker. 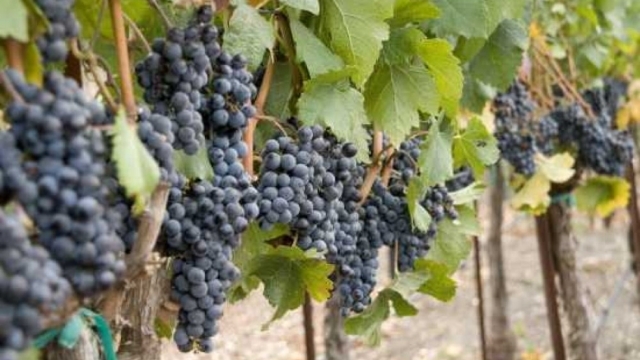 Winemakers often enjoy the variety because it's a sturdy grape; it has reliably high ripeness and it responds well to a variety of winemaking techniques, so much so, that it's hard to make a blanket statement that you love or hate Chardonnay. You just have not tasted enough of them. For instance, in the cool-climate, chalky soils of Chablis, Chardonnay never sees new oak and the resulting wines are crisp, clean and mineral-driven, with high acidity and virtually no buttery tones to note. Take a Napa Valley Chardonnay and you'll have a warm climate and heavier oak use, producing a wine that showcases ripe, rich fruits and vanilla and toast characteristics from the oak. Not to say one is better than another, but there are some stark stylistic differences when it comes to Chardonnay." Because Chardonnay produces such diverse wines, we have tried to make this list representative of at least a few of the many alternative styles: we have broadly distinguished oaked and unoaked samples, and within each have tried to present some regional diversity (though good unoaked Chards tend to be French). ♦ This is quite oaky upfront, with bold scents of baked apple, toasted hazelnut and vanilla bean. The palate offers more of the same, in addition to a bright yet decadent lemon-custard flavor. Honey-drizzled apple pie comes to the fore on the finish, with just enough acidity to keep the opulence in check. 89 points. ♦ This dark yellow colored Chardonnay from South Africa opens with a fragrant banana and pineapple bouquet with a hint of pear. On the palate, this wine is medium bodied, slightly acidic and juicy. The flavor profile is similar to the bouquet with pineapple and banana flavors with notes of fig and mild oak. I also detected a hint of lemon as well. The finish is dry and its flavors and acidity linger nicely after the wine is gone. This Chard is very good on its own. I would share a glass with a lover of this grape. ♦ [A] surprise from the first sip to the last swallow: rich, creamy and buttery with the right amount of acidity to keep all that richness in check. ♦ Despite its moderate alcohol level, this wine offers plenty of weight and richness. Oak-derived elements of vanilla and toast frame exotic hints of mango, pineapple and citrus. With its ample weight and plush texture, this wine is a throwback of sorts, yet it manages to achieve that with great focus and citrusy length. 90 points. ♦ Nose of lemon curd, daisies, honeycomb, lime, river rocks. On the palate, this is crisp, clean and tangy, only 13% alcohol. The apricot, green apple and lime play well together, and I enjoy the floral, perfumed aspects. Unassuming, lovely stuff, especially for the price. 88 points. ♦ This elegant Chardonnay is made from grapes grown across the region, aged for a few months in French oak barrels, 20% of which were new – which helps with a creamy texture. I assume there is some lees ageing and stirring too as there is a lovely, delicate creamy quality. The wine undergoes no malolactic fermentation, which helps to keep it fresh and lively. ♦ Silky and seamless yet remarkably lively and aromatic. The succulent tropical fruit comes through without a trace of cloying sweetness or clumsy oak in this poised white from cool Margaret River in Western Australia. Very fine for the money. 91 points. 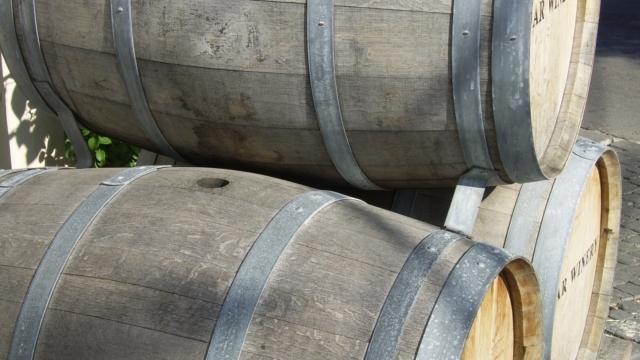 ♦ This wine is barrel fermented with all natural yeasts. Bright and fresh aromas of white flowers, lemon and green apple dominate the nose, with some riper melon and white peach notes, a hint of vanilla, and a clean, stony minerality. Bone dry, with fresh acidity, balanced alcohol, the palate takes on a creamy note that adds some richness, and provides a nice contrast to the stony/mineral finish. This is a fine cool climate expression of Chardonnay, and one of my favourites of the lineup. 89 points. ♦ Smoke with toasty oak and notes of dry apricots.Also, hints of vanilla. On the mouth,dry. Crisp with a fresh acidity. Long with a finale reminiscent of mineral and flowers notes. ♦ Medium+ intensity nose offering clean lime, apple, pear, stone fruits and some butter notes in a fresh package. It's medium-bodied on the juicy palate with sharp acids and pleasing aroma replays. It has a rounded mouthfeel, with good texture and some creaminess. Wild fermented. Good length on the finish. Paired really well with the fish tacos and really started to come to life as it warmed up in the glass. Score: 87 pts. ♦ You get the crystalline minerality from the first whiff. After that, a very linear and straightforward wine that is all about adding on to this stony spine. Orchard fruit, green apple and some tropical notes offer up a complex yet nuanced chardonnay. Great value at under $20. ♦ A faint smoky character wafts through warm, inviting aromas of lemon peels, nectarine and sea salt on the nose of this wine from Monterey County. There is a lot of energetic acidity on the palate, where even flavors of apple and pear are cut by lemon-lime briskness and a briny character. 92 points. ♦ Moderately light golden yellow color and clear in the glass. Welcoming aromas of ripe apple, peach, lemon-lime and whipped cream. Slightly richer with riper flavors than the October Night bottling, offering flavors of apple, white peach, nectarine and brioche along with a hint of sweetness and a tiny bit of spritz. Impressive barrel management and overall exemplary balance. Score: 91. ♦ It has lots of texture, body and complexity. Intense aromas of white nectarine, white peach, crème brûlée, vanilla and a kiss of white flowers are followed by flavors deftly woven with spicy French oak. Flavors exhibit the “leesy” character of weekly stirring during aging. ♦ Winemaker Kristen Barnhisel continues the fine-tuning on Lohr’s ultimate version of the great white Burgundys of France. Classic techniques abound, from early-morning handpicking/sorting and stirring of the lees to extended barrel aging (14 months). Great mouth feel, very viscous, rich flavors, and a long, lingering finish. A true Monterey classic that should have the French looking over their shoulders. *****, 98 points. ♦ Apple, pear, pineapple, white nectarine, toasted hazelnut, buttery vanilla. ♦ Rich and lush; juicy and crisp with racy acidity and smooth texture; toasty, long and balanced; ripe, dense and fresh. 90 points. ♦ Pierres Blanches lies just above the Beaune 1er Cru les Bressandes with an ideal easterly aspect. There’s about 1½ metres of sandy clay overlying limestone mother-rock. Low yielding, deep rooted bio-dynamically tended vines give a crystalline pure wine, with zesty citrus fruits and hazlenuts and long saline finish. ♦ And this Chablis is LIT people! 2014 Andre Tremblay "Les Pierres Blanches" Chablis: coconut, vanilla and melon on the nose; stone, clementine and lime peel on the palate. Don't sleep on it. Please enjoy. ♦ Classic Chablis, mineral and ash nose, zippy acid and lemons. ♦ Displaying aromas of crushed green apples along with candied apple, ripe lemon, , white peach, white florals, sea salt and stones. Not quite the acid spectrum one may expect but has excellent length along with great concentration. It’s good going now, but should you forget you have it, be sure to find it again sometime in the next 5 years and ideally drink it on a warm summers day. ♦ A pale and pristine chablis with focused citrus and apple fruits with delicate leesy/mineral complexity. Long, elegant and angular with no barrel maturation, it will reward drinking over the next three to four years. ♦ Dan Lee's annual stainless-steel release is quite dynamic on the nose, with lime blossom, red apple, soda and freshly cut kiwi notes. The flavors are light, bright and intriguing, trending toward the green-fruit side of the spectrum, with apple and pear cider, pomelo rind and a touch of quinine. 88 points. ♦ This Chardonnay was grown in the Roger Rose, Leavens, Double L, and Kristy vineyards, which splay across the Santa Lucia Highlands, Arroyo Seco, and Monterey appellations. It was whole-cluster pressed and the wine spent five months in stainless steel (hence “Metallico”). It did not go through malolactic. It’s redolent of stone fruits, yellow apple, and wet stone, but the body delivers a shaft of light across the palate: Cleansing—almost astringent—suggesting yellow fruits and citrus. I admire its restraint, linearity, and vibrancy. It’s a good value for those who, like me, love this forthright style. ♦ This offering is a great example of pure Chardonnay without oak or malolactic fermentation. It is rich tasting with delicious melon fruit flavors, medium weight, good balance, freshness, acidity and a fine finish. One of California’s finest un-oaked Chardonnays. ♦ This wine begins with aromas of freshly cut grass and outdoor floral, garden scents. The flavors really come through without the oak influence; pineapple, apricot and peach, more lemon toward the finish. The wine has that nice body you get with a Chardonnay (compared to a Sauvignon Blanc which often feels lighter to me) and the wine finishes with a healthy does of acidity and tart. After each taste if feels like you just ate a yellow Skittle. If you really want to splurge, take out a second mortgage and buy a bottle of real Montrachet, for which you can expect to pay a few thousand dollars (that's a new bottle, not an aged one—aged, they're even more, circa $6000). For more plausible splurges, try the items below. A good unoaked-type and not outrageously priced splurge would be a bottle of Jean-Paul & Benoit Droin "Montée de Tonnerre" Chablis Premier Cru. A good oaked-type reasonable splurge would be a bottle of Kumeu River Hunting Hill Chardonnay from New Zealand.